Neither Red Nor Blue remains on hiatus. Essays and reviews will appear on jeffersonflanders.com. Revolutionary France, 1793. When Calvin Tarkington, a young Boston merchant-trader, arrives in Paris on July 4th, he finds a city in turmoil, riven by quarrels between revolutionary factions and threatened by advancing Coalition armies. Calvin’s brother Alexander, the family firm’s representative in France, has disappeared, suspected by a powerful Jacobin official of spying for the British. As Calvin seeks to clear his brother’s name, his quest for the truth takes him from elegant townhouses to squalid gambling dens to the secret chambers of the Masonic Lodge of the Seven Sisters. Drawn into a shadowy world of intrigue and betrayal, Calvin becomes the hunted as France lurches toward the Reign of Terror. 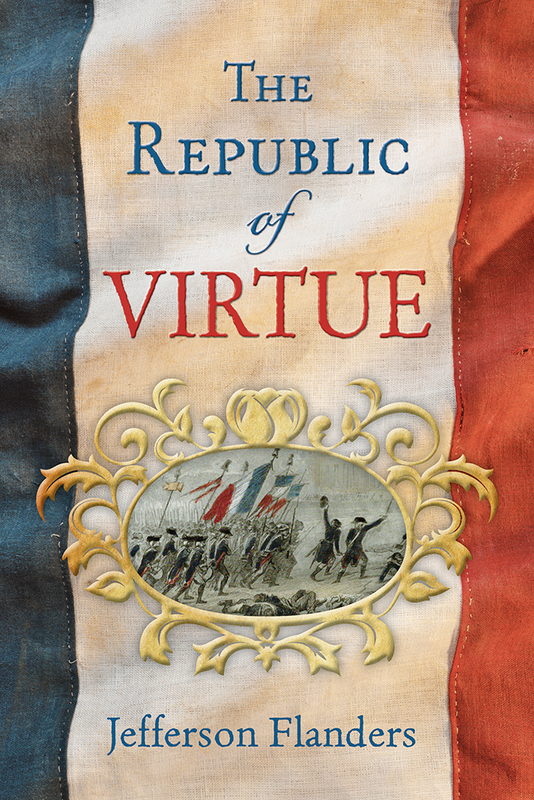 Rich in historical detail and suspense, The Republic of Virtue tells a compelling story of love, courage, and loyalty set in a dangerous place at a dangerous time—the darkest days of the French Revolution. Jefferson Flanders has been a sportswriter, columnist, editor, and publishing executive. He is the author of the critically-acclaimed First Trumpet trilogy (Herald Square, The North Building and The Hill of Three Borders) and of two short story collections.